In this week’s digital news roundup we’re talking about Spotify updates, the latest in emoji trends, new age regulations on WhatsApp and how YouTube Kids is trying to combat inappropriate content. Last week we talked about the hype around the upcoming Spotify event, and the potential for updating the free platform. 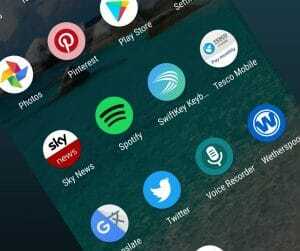 Now, the streaming giant has released “a new ad-supported app offering personalised playlists free of charge to its end users”. This is paired with a ton of upgrades, including greater customisation and data saving functionality. The on-demand playlists are designed to give users of the free platform a bit more control over their experience, which differentiates Spotify from some of the other streaming sites out there – such as Apple Music, which doesn’t have a free tier. The big question is will improving the free service encourage more people to pay? Maybe only time will tell. Find out more about the new release, which is launching on both iOS and Android shortly, over on The Drum. This week was a big one for those looking to justify mobile ad spend, with a study from the Internet Advertising Bureau (IAB) and PWC finding that smartphones are the fastest growing advertising format. According to The Drum, this is best illustrated when paired with the news that smartphones overtook computers for time spent on the internet for the first time ever. Now, smartphone advertising accounts for 45% of all digital ad spend – up 37.4%. There was a particular focus on the rise of smartphone video spend, which was up 69% in 2017. 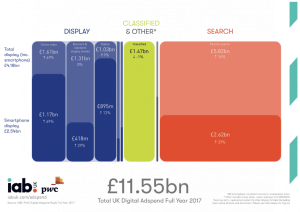 Social media spend was also up, with a 38% rise meaning that it accounts for roughly one fifth of every pound spent on digital. Of this, four fifths of all the budget were directed towards mobile. We’re big fans of the power of video at SGM, and have tons of content around how to get the most out of videos – from making the most of live video, to breaking down what video marketing actually is. Not sure where to get started? We can help with that too. Check out the DIY Video Marketing course run by our sister company, Giant Campus, and learn all you need to know. If you’re up on your emoji knowledge then you’ll be aware that the pistol emoji is one of the ones where we’ve seen inconsistencies over the years. From 2016 we began to see tech giants like Apple move away from a realistic looking gun, and move to a toy water gun. Although it caused controversy at the time, it wasn’t long before others followed suit. This meant that, as of the beginning of this week, Microsoft were the only company left in the dark, as Google launched a new retro-looking orange and yellow water gun emoji to replace its pistol. Initially Microsoft declined to comment on being the only ones sticking with a realistic gun – until Wednesday, that is. Then, low and behold, they took to Twitter to announce that they would indeed be updating their emoji sets to mirror the other major players in the industry. In a world where gun control, and gun violence, is a hot and often contentious topic, many are big fans of the industry getting rid of the guns. Do you use the gun emoji? Read more on The Verge or in Emojipedia’s updated article. GDPR is a mega hot topic in the world of digital right now, and it looks like we’re starting to see the effects taking hold. 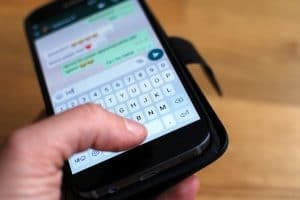 The latest move comes from Facebook owned WhatsApp, which is now moving to raise its minimum age for European users in order to comply with the new rules. According to The Guardian, “GDPR is the biggest overhaul of online privacy since the birth of the internet”. It’s designed to give Europeans the right to know what data is stored on them – and the right to have it deleted. If you want to know more about GDPR, and how it can actually benefit your business, sign up for our first GIANT talks event of 2018 on the 24th May at the Bromley Arts Council. Look forward to seeing you there! If you’re a big Gmail user, like we are here at GIANT towers, then get ready – change is coming for the first time in five years! Google has recently announced a redesign that will include a whole new look, as well as new features designed to improve usability and efficiency for business users. Powered by AI, some of these features include the ability to snooze emails, or set up ‘nudges’ that remind you to respond to messages you may have missed. 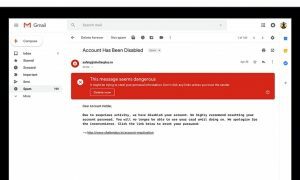 The smart reply feature currently enabled on smartphone app versions of Gmail will also make its web debut. The moves are being hailed a step towards a business-centric focus for the email platform, helping it to compete with the dominant Microsoft Office software. When you pair these updates with the G Suite range of tools, including Docs, calendar and Hangouts, Google certainly seem to be working towards a full-service offering for businesses hanging out online. The new features are set to become available over the next few weeks, although for G Suite users system administrators will need to turn on options before they are available to workers. Find out more on the updates, and how you can get them, on The Guardian. 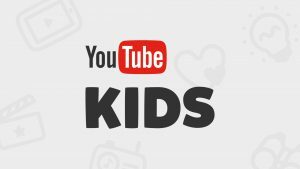 Following inappropriate videos being discovered on is child-centric service, Google has now said that it will add new parental controls to its YouTube Kids app. The new controls will mean parents can choose to select human-curated playlists, rather than letting YouTube’s algorithms decide what children get to watch. Before this move, YouTube used its algorithms to decide what videos appeared on YouTube Kids – which means that any video on the regular version could appear on the kids platform if the software judged it to be suitable. The process is definitely not foolproof, however, and inappropriate videos have consistently slipped through the net. Children’s charity the NSPCC said the stricter controls were “encouraging” but “long overdue”, highlighting that parents need to have confidence that the platform will only show appropriate content. I asked one of our GIANTs Sam for his take on the matter, as both a fan of YouTube and a parent. He highlighted how parents need to be aware of what’s feeding kids’ minds through any form of TV and internet. “Granular controls are brilliant – but at the end of the day, it’s up to parents to be aware of what is going on in their children’s head! NOT algorithms or corporations,” he explained. Find out more on the story from BBC News. And, just like that, your news know-how is all topped up and the weekend is almost upon us. Check back next Friday for another installment of digital news. Don’t miss us too much.